Windstar Cruises prides itself on delivering intimate luxury. The boutique line likes to say that it “travels the world differently.” And, there’s a lot to back up the claim. 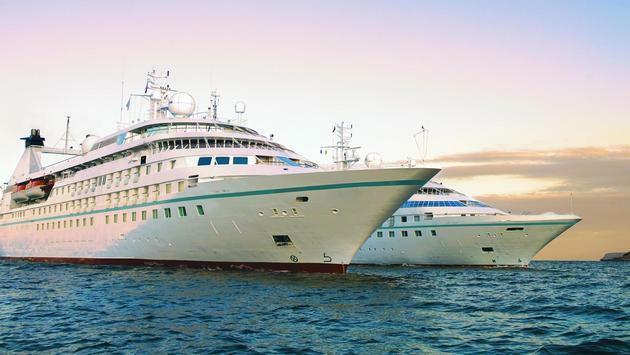 Windstar’s six sailing and all-suite ships hold no more than 310 guests. The line is known for port-intensive itineraries, award-winning service, and innovative culinary programs. In the latter category, Windstar’s partnership with the James Beard Foundation is a standout. Windstar first worked with the preeminent culinary organization in 2016. By the following year, the relationship expanded, with Windstar receiving the title of Official Cruise Line of the James Beard Foundation. The exclusive partnership has earned rave reviews. Earlier this year, the parties announced that it will extend through 2021. That’s great news for guests interested in exploring the world as an epicurean experience. Under the program, acclaimed culinary experts share their knowledge and insights about world cuisines. They host culinary and beverage tastings, wine-paired meals, culinary-themed excursions and local market tours. In essence, the James Beard chefs come on board to share their love of food culture and they help guests better grasp the local culture through food. After all, there’s something pretty special about an early morning visit to the fishmongers or cheesemongers supplying the dinner provisions. The James Beard Foundation was created to recognize and celebrate the chefs, writers, and restaurateurs who advance America’s culinary arts. The Foundation's Vice President, Kris Moon, notes that a Windstar cruise offers the perfect backdrop for furthering those goals. Guests on every Windstar sailing dine on James Beard Award-winning chef recipes and James Beard Foundation Signature Recipes. The James Beard Chef dishes are specially notated on the menu, and no added fee is charged. A full complement of special James Beard Foundation Culinary Themed Cruises will take place in 2019. They include a Winter Antilles Escape from San Juan to Barbados on the Star Pride. The cruise departs on January 5, 2019. A Costa Rica and Panama Canal cruise from Puerto Caldera to Colon departs February 16, 2019, aboard Star Breeze. And, a Pop Culture Kings of Asia cruise from Beijing (Tianjin) to Tokyo departs March 16, 2019, on Star Legend. Barcelona. It departs June 22, 2019, aboard Wind Surf. The West Coast Epicurean Extravaganza journeys from Vancouver to San Diego. It departs September 24, 2019, aboard Star Legend. And a Classic Italy and Dalmatian Coast cruise from Rome to Venice departs October 30, 2019, aboard Star Breeze. 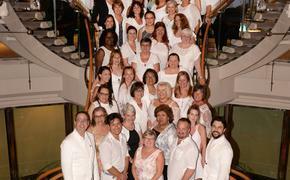 Each themed cruise will feature a hosted dinner and wine pairing with a James Beard Foundation chef or beverage expert. The chefs will demonstrate recipes on board and of course, lead those market visits. Guests will also enjoy wine, spirits, or beer tastings. “Windstar aims to be the leader in culinary offerings among small ship cruises worldwide,” said Windstar president John Delaney. “Through our partnership with the James Beard Foundation, we are pleased to introduce an array of incredible culinary superstars aboard our ships. An exciting component of the new multi-year partnership is to pay special attention to both our acclaimed chefs and also to notable wine and mixology experts.